Last week’s #AskASN was all about cardiorenal syndrome. We had a great turnout and really interesting discussion. 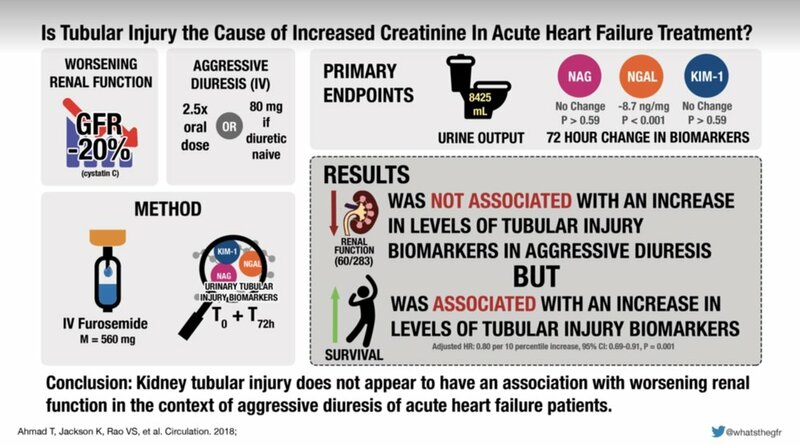 Take a look at this visual abstract about diuretic induced “worsening kidney function” (That’s cardiology-speak for AKI). The visual abstract was done by Michelle Lim, NSMC intern.